The skill, passion, care and expertise with which the family Cetrone is dedicated to the cultivation of olive trees since 1860, have led the Company Cetrone to be one of the spearheads in the production of the extra virgin olive oil in Lazio. The Extra Virgin Olive Oil Cetrone is extracted exclusively from olives 'Monocultivar Itrana', from healthy and fresh olives, hand-picked directly from the tree and pressed in the day, with the cold press procedure. The olive groves, located in Sonnino near Latina, are located in the coastal strip of the Lepine Mountains, in a pristine environment in the Circeo National Park and the Natural Monument Carsico of Campo Soriano. The influence of the sea air, the almost continuous presence of the sun, the shape of the rocky terrain, the altitude of the olive groves and the extreme care and attention for the process of production, affect the quality of Extra Virgin Olive Cetrone. The results of the most important national and international competitions mills of the past decade testify. 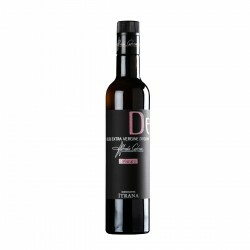 - Named Best Oil and Best Monocultivar Oil of high value of tocopherols and polyphenols in Lazio. - First Prize at the National Competition 'Olio Capitale' in Trieste. - First Place in Urbino at the National Competition Orciolo Gold. - First Prize at the National Competition Legambiente in Grosseto . - Winner of the International Competition Sol d'Oro in Verona. - Best Extra Virgin Olive Oil Intense Fruity in the National Guide of Italy by Gambero Rosso. - Winner of the tenth anniversary of the National Guide to Extra Virgin Slow Food. - Best Extra Virgin Olive Oil in the International Guide Der Feinschmecker. 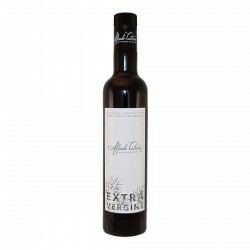 - Best Extra Virgin Olive Oil in the International Merum.